WHAT WERE THE ANCIENTS UP TO ? 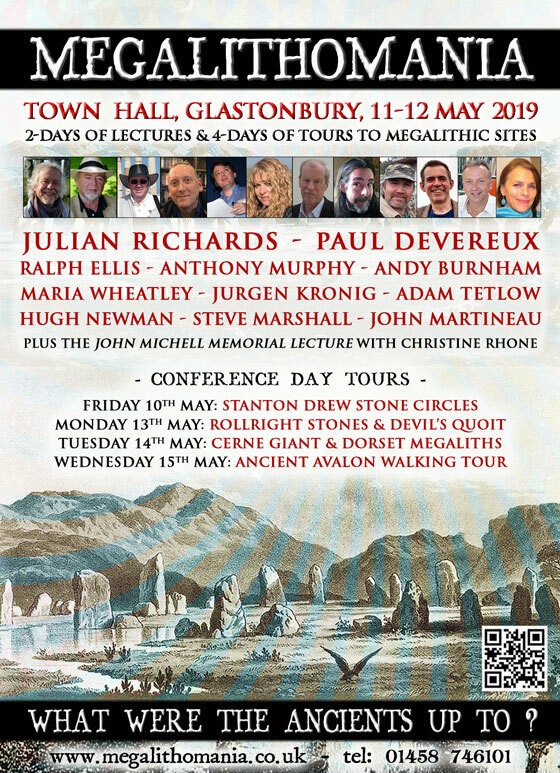 Megalithomania returns on May 11th-12th 2019 at the Town Hall, Glastonbury. We are a two-day event, but the tours on the Friday, Monday, Tuesday are SOLD OUT but we have space on the Wednesday tour. 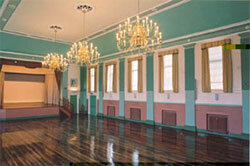 Individual lecture tickets are £10 on the door. IMPORTANT: If for any reason you cannot make it to the conference after purchasing a ticket, please be aware we cannot offer refunds, but we will give you full access to the post-conference videos to watch from the comfort of your own home, at no extra charge. PLEASE NOTE: The organisers reserve the right to change the programme, speakers, venue and schedule at any time. Explore Glastonbury Tor, The Egg-Stone, Chalice Well, The Red & White Springs, The Holy Thorn, Wearyill Hill & more, hosted by Shaun Kirwan. 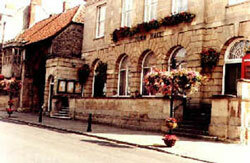 BY ROAD: Glastonbury is on A39 and A361 in Somerset. From London, take the M3 on to the A303. Stay on A303 past Wincanton and Sparkford to Podimore roundabout. Take A372 Langport Road to B3151 intersection. Turn right onto B3151 sign posted to Somerton and Street. Follow signs to Glastonbury from Somerton (journey takes 2 - 3 hours depending on traffic).